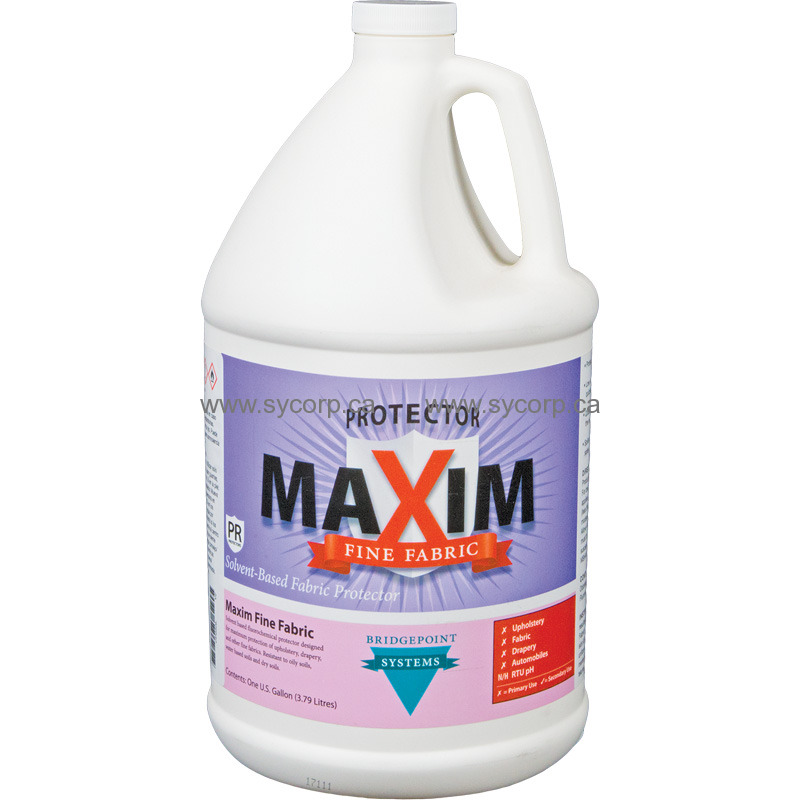 The protector for fine upholstery fabrics. Keeps spills and stains from damaging fine upholstery. Works safely on the finest fabrics. Spills bead up so they can be easily and safely wiped away. This is a valuable add-on service for you to sell because it takes so little time and effort and works so well.